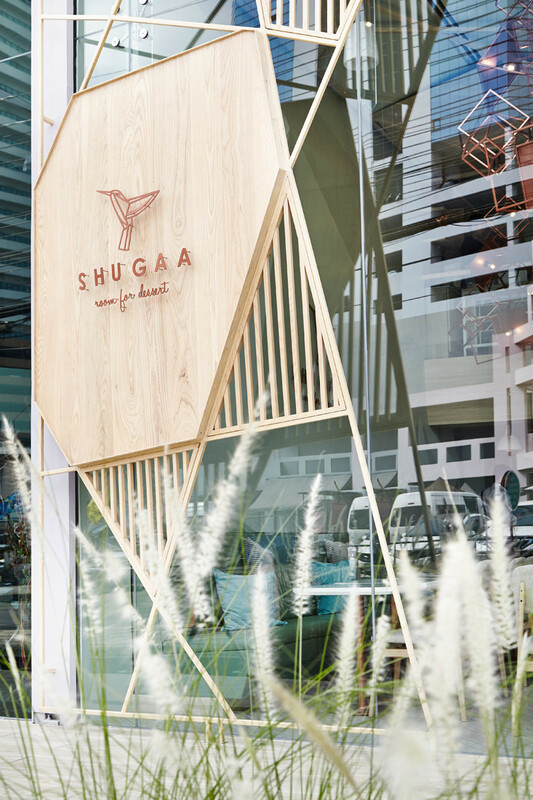 Design firm party/space/design have recently completed SHUGAA, a new dessert bar in Bangkok, Thailand. 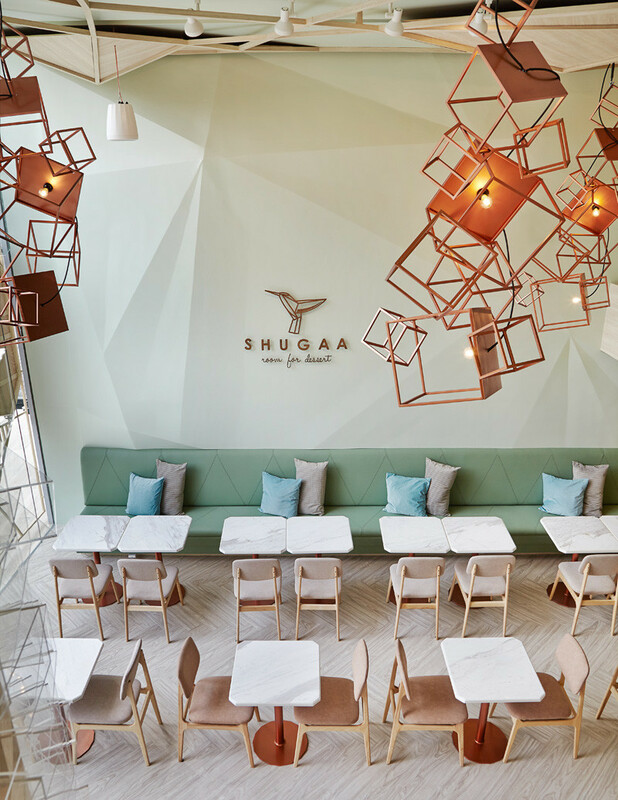 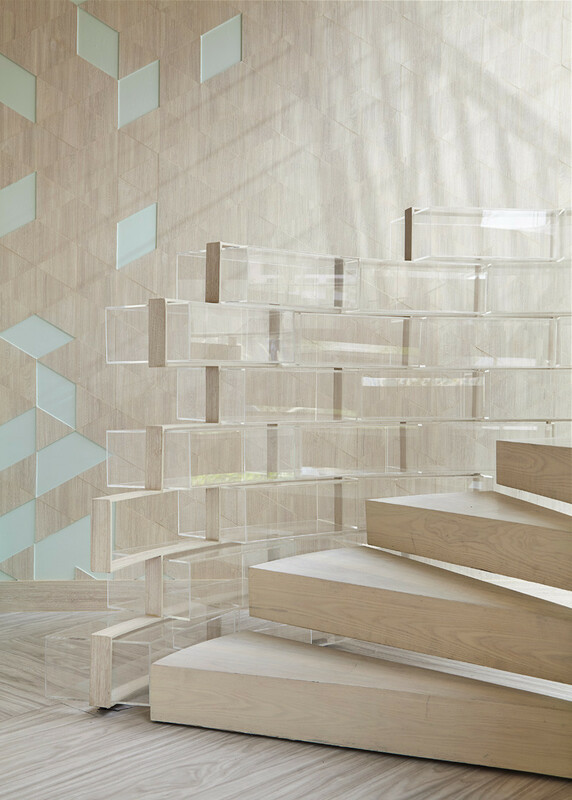 The concept of the interior design of Shugaa is the sugar crystal. 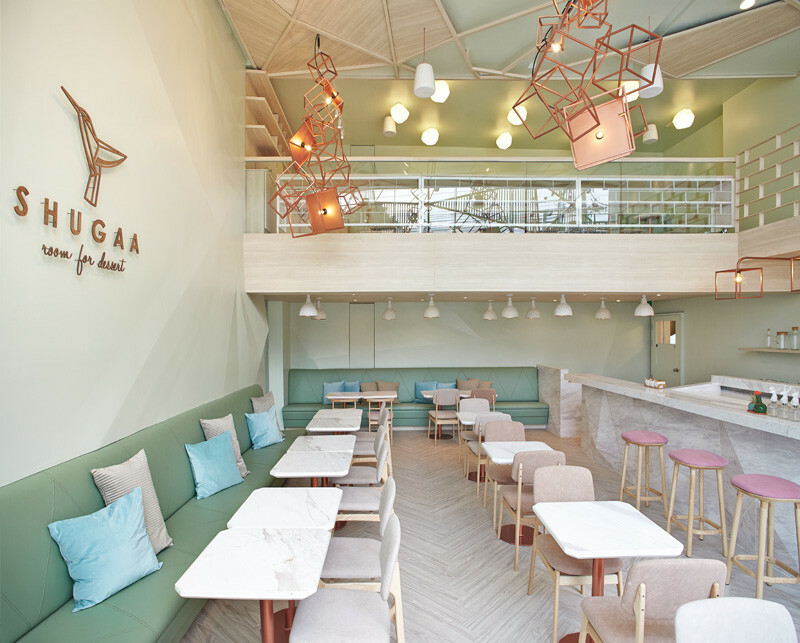 Pastel colors, wood and rose gold have been used throughout the space. 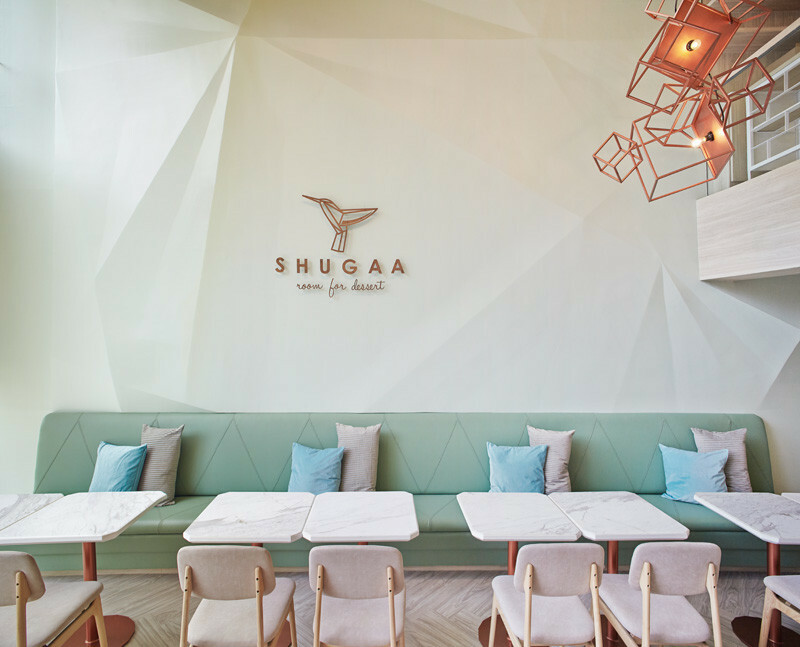 Geometric designs on the walls, play off the geometric designs of the lighting. 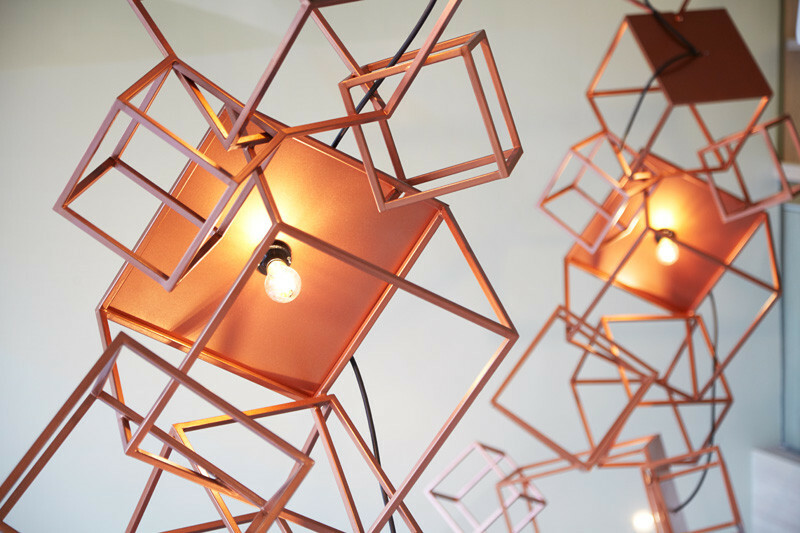 Here’s a close-up look at the rose gold sculptural pendant lights. 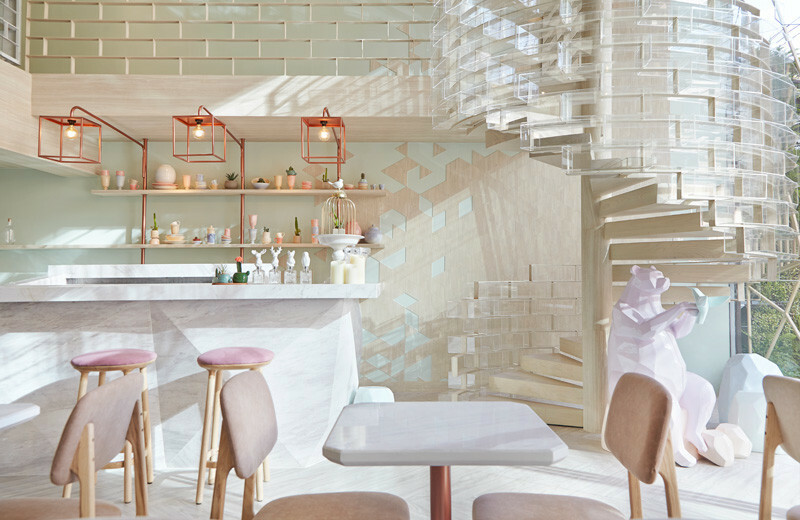 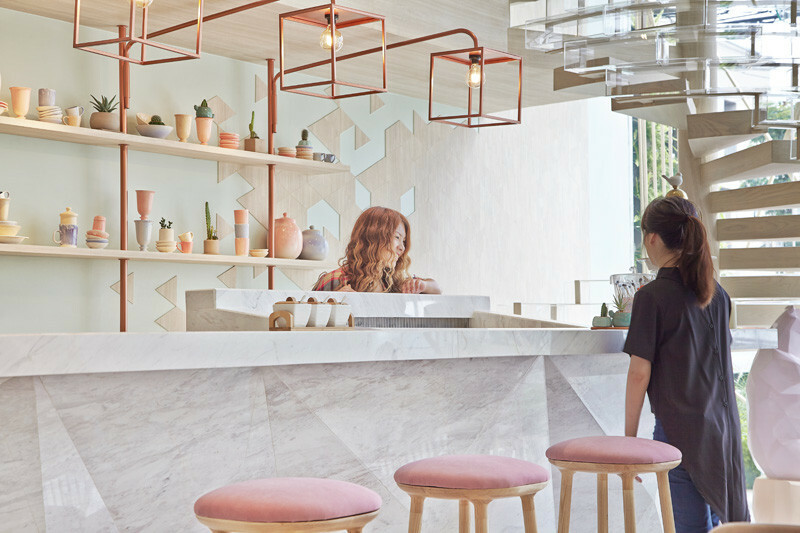 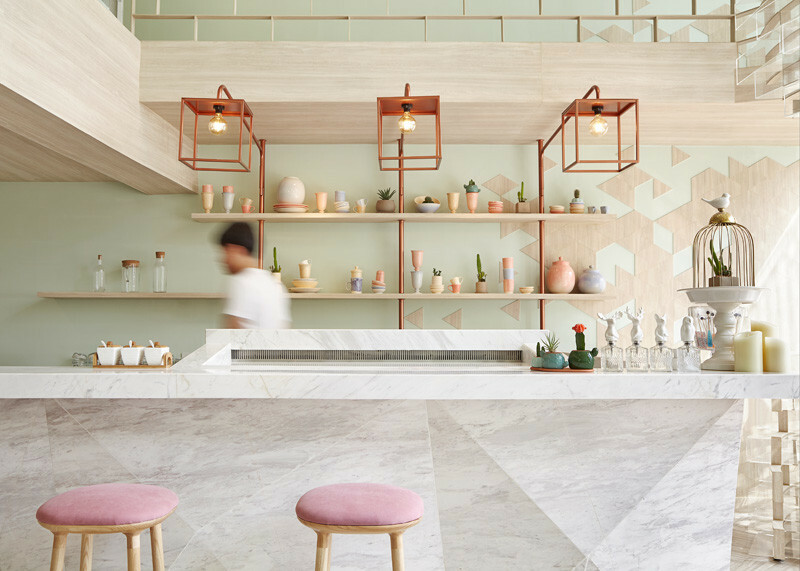 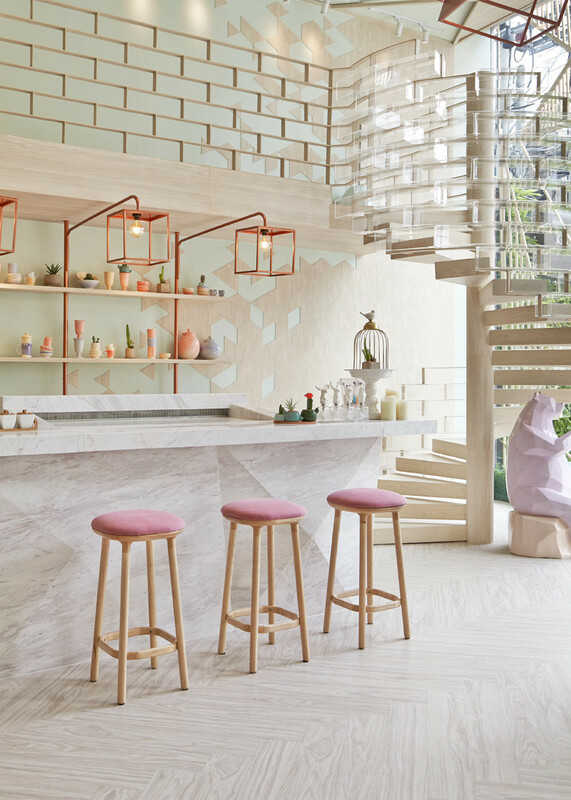 The rose gold and pastel colors continue behind the bar area, with an artistic pattern on the wall, blending the wood and the mint green paint. 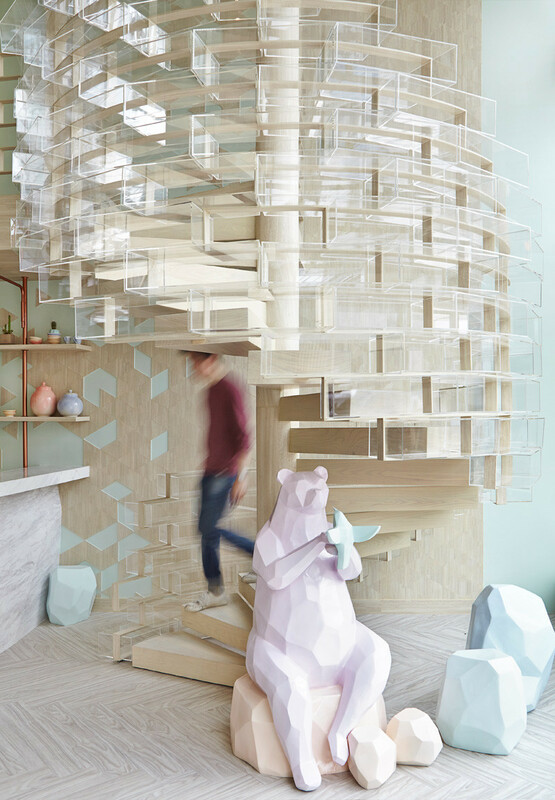 The main highlight of the dessert bar is the spiral staircase. 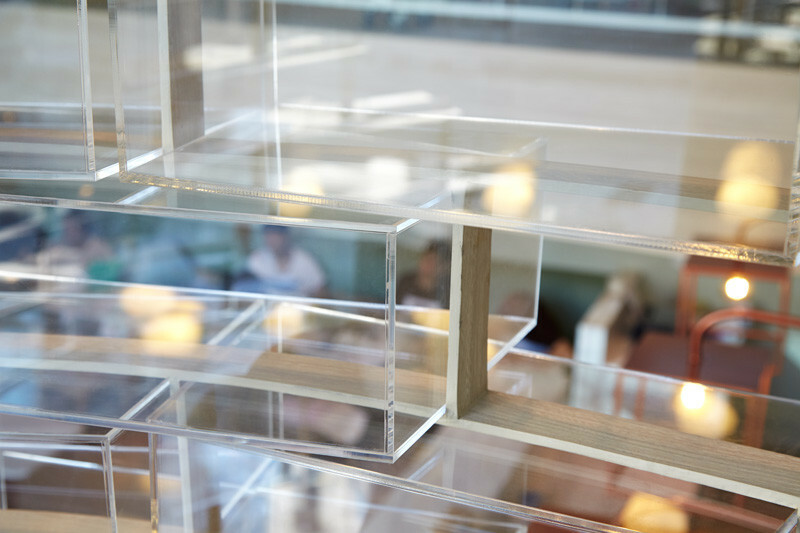 Acrylic boxes have been used as part of the theme of the sugar crystal. 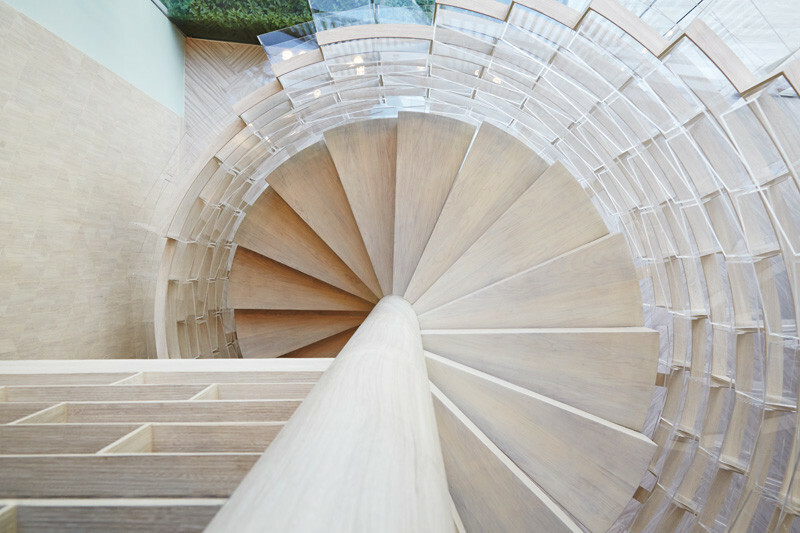 The spiraling staircase leads to the second floor, with more seating, and with views of the lower area. 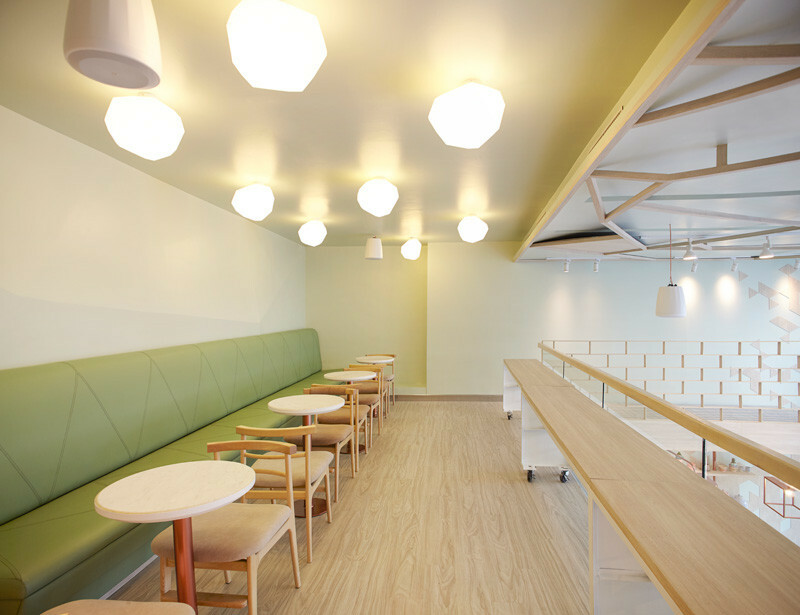 Upstairs there’s more bench seating, with gem-like ceiling lights.